This November and December moviegoers in Hong Kong will have a chance to watch the screenings of classic Polish films. Films directed by Andrzej Żuławski, Jerzy Skolimowski, Walerian Borowczyk and Roman Polański will be shown as part of the Cine Fan programme, which for over five years has been treating the Hong Kong audience to contemporary, retrospective and thematic film presentations. Cine Fan is one of the initiatives of the Hong Kong International Film Festival Society Limited, the organiser of the Hong Kong International Film Festival. The screenings are yet another of the series of projects promoting Polish cinema in Hong Kong. In the spring of 2018, as part of the special event opening the 42nd Hong Kong International Film Festival and the programme celebrating the centenary of Poland's independence, the Adam Mickiewicz Institute co-organised a live animation show performed by Mariusz Wilczyński accompanied by the Hong Kong Philharmonic Orchestra with the repertoire including pieces by famous Polish composers. It is also worth mentioning that in the autumn of 2014, with the support of the AMI, a retrospective of films directed by Wojciech Jerzy Has titled Has – Beyond the Master was held as part of the Cine Fan programme. 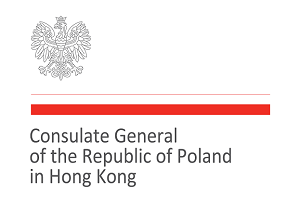 The project is supported by the Consulate General of the Republic of Poland in Hong Kong.